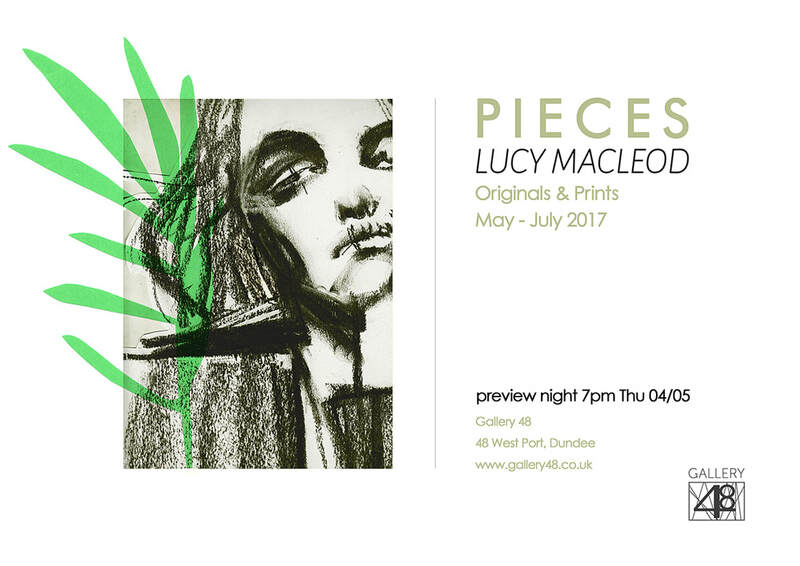 Hosted by Dundee's vibrant Gallery 48, PIECES was Lucy's first entirely solo exhibition. 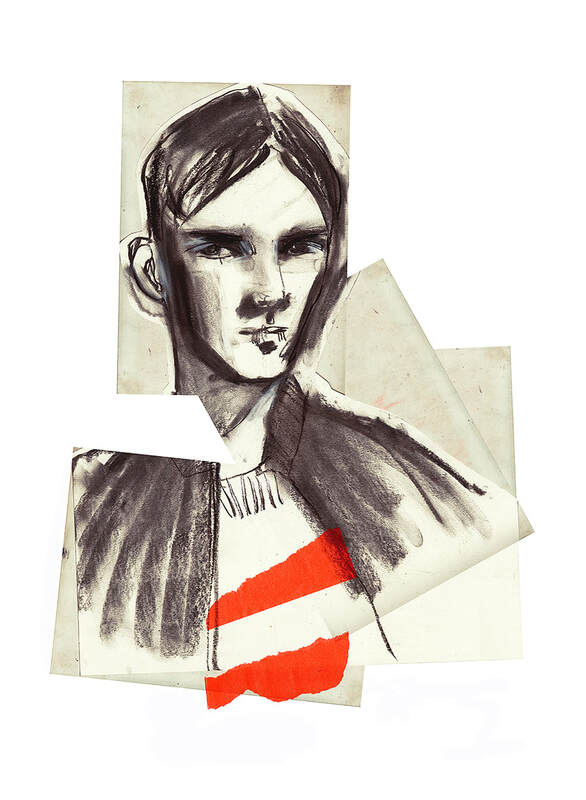 Following several months of creative experimentation, exploring new ways of composing together layers of paper, textures and hand-drawn figurative, varnished elements, Lucy presented several new large-scale 'pieced together' originals and printed works alongside smaller chalk, charcoal and ink drawings on paper. 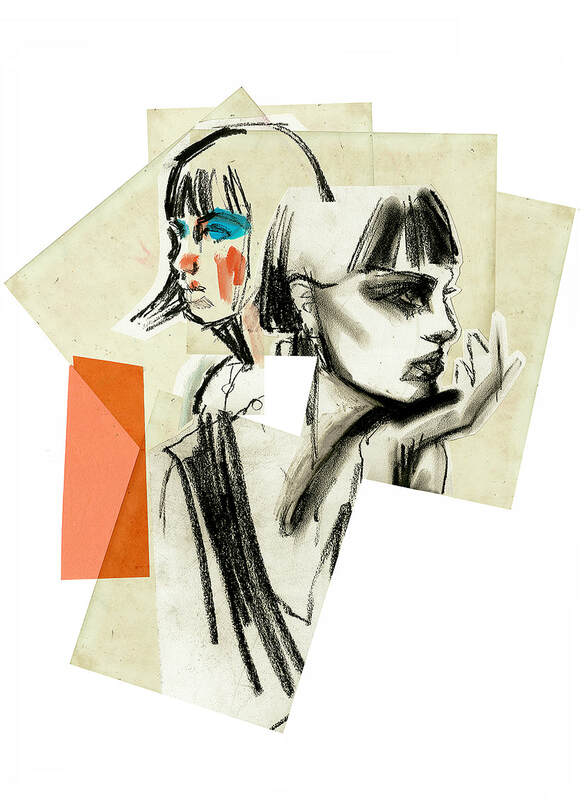 The exhibition was a display of bold line-work combined with fresh colour combinations and also showcased Lucy's 'tactile' approach to fashion illustration. 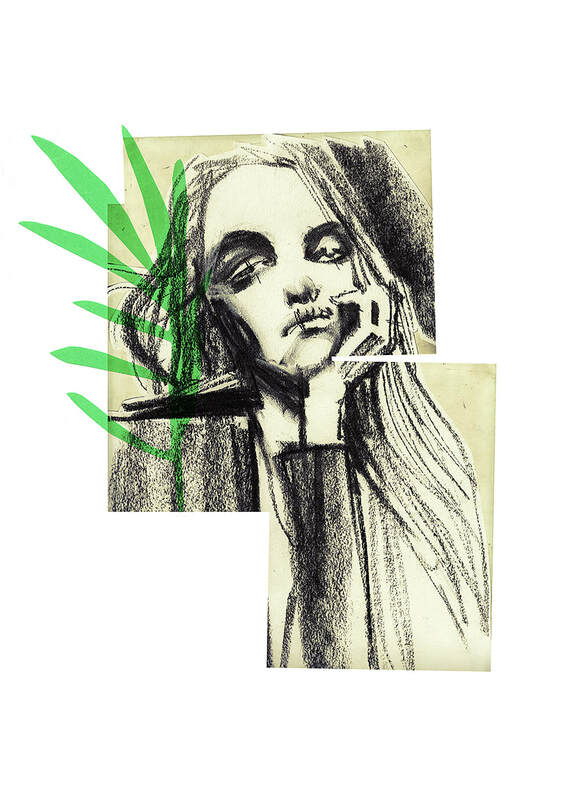 At the beginning and end of the exhibition run, Lucy hosted half day fashion portraiture workshops, giving guidance to small groups on expressive drawing, painting & collage techniques.